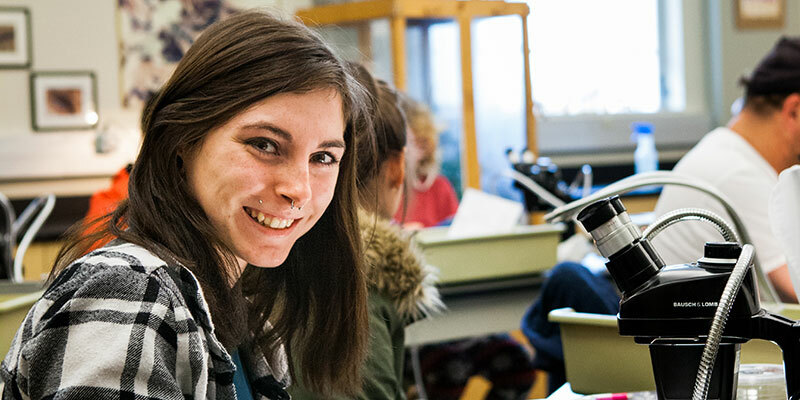 SFCC’s STEM Pathway serves students looking to careers based in Science, Technology, Engineering and Mathematics, providing them with the opportunity to transfer to their chosen university as major-ready juniors. Supported by an array of courses that includes calculus-based Physics, Chemistry through a full year of Organic Chemistry, Mathematics through Differential Equations, Statics, Dynamics and similar major-based courses in the Life, Physical and Computer Sciences, students can embrace the benefits of our emphasis on access and quality in instruction while building a solid foundation for the classic STEM baccalaureate degrees. For those students looking for employment immediately after completing an SFCC program, we offer a 2 year degree in Information Technology which can lead directly to employment and to a 4 year Applied Baccalaureate degree from SFCC in Information Systems and Technology or Cyber Security. Eligible students may participate in the Mathematics Engineering Science Achievement (MESA) program.